Another human being loses his life in a senseless shooting by a deranged person with a gun. Again, another notch in the bedpost of the NRA. How many more? The chaos started when the gunman kidnapped his wife in the 300 block of T Street NE Thursday afternoon, police said. The gunman, described by police Thursday only as a man in his 30s or 40s, is also suspected in a shooting on Bruce Place in southeast D.C.
As police were getting word of the kidnapping, the gunman drove to the headquarters of the U.S. Census Bureau in Suitland. Buckner spotted him arguing with someone in his car. D.C. Police Chief Cathy Lanier said when Buckner approached the car, he was shot. 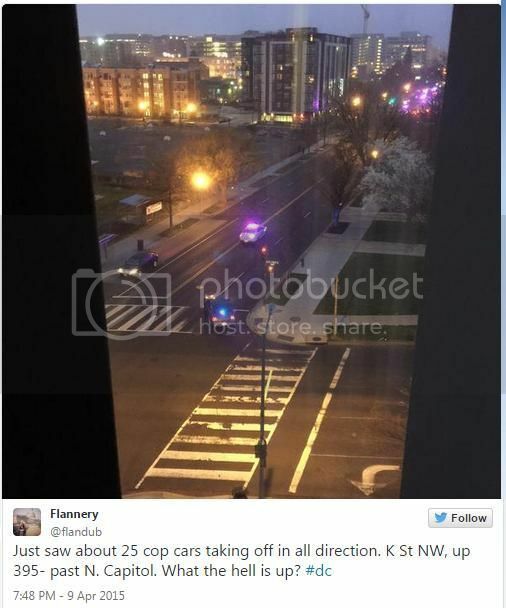 Later, D.C. police spotted the gunman's car. He shot at pursuing police at 3rd and K streets in Northeast, Lanier said. In the area of 11th and H streets, a busy section of northeast D.C., police were able to block the gunman's path with their cruisers, causing a collision with the gunman's dark green Honda. In an exchange of gunfire with police, the gunman was shot multiple times. There was conflicting information about his condition Thursday night. A D.C. police officer was shot in the leg during the confrontation at 11th and H, and brought into a nearby restaurant for triage. Two other police officers were injured. All the officers have suffered non-life-threatening injuries. The gunman's wife has been located, safe. The Census Bureau headquarters will operate on a 2-hour delay Friday. Essential employess are expected to report on time. The Census Bureau headquarters, which opened in 2006, houses about 5,000 permanent employees. 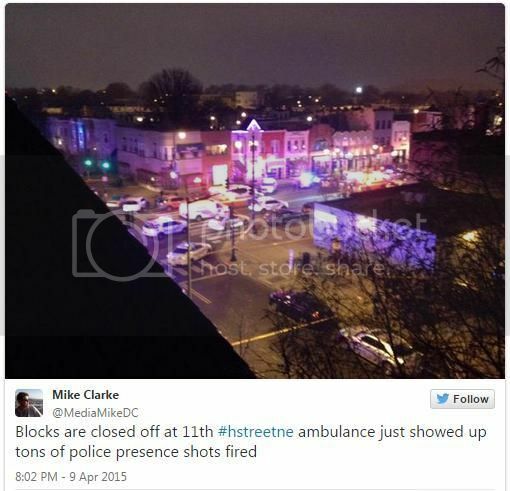 "There has been an incident at the Suitland Federal Center and there is an ongoing investigation," the tweet read. "We are committed to the safety of all staff who work at the Census Bureau and are currently making sure that everyone is safe and secure. We will provide more details as they become available." Buckner worked for Hunt Valley, Maryland-based Masters Security for 15 years, according to another employee of the security company. He was stationed at the Census Bureau for about 5 years. The FBI is investigating the shooting at the Census, which is federal property. Click here for more on this developing story.